This project was done in order to receive and log serial data from a lighting location finder. We wanted to replace the PC used as the data logger with a less battery consuming reliable data-logger. We ended up designing and constructing our very own data logger for this purpose. The same data logger was also used as data logger for an unmanned weather station. 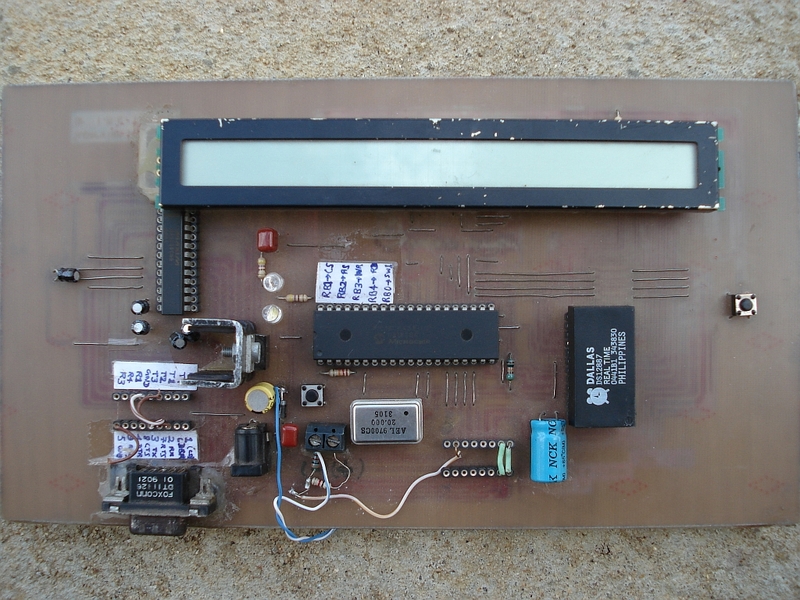 The design is based on a 40 pin PIC18F microcontroller. We have successfully tested this with PIC18F452, PIC18F458 and PIC18F4580. 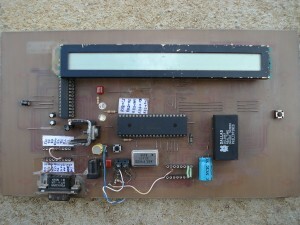 A 40 x 2 character LCD is used as the display. 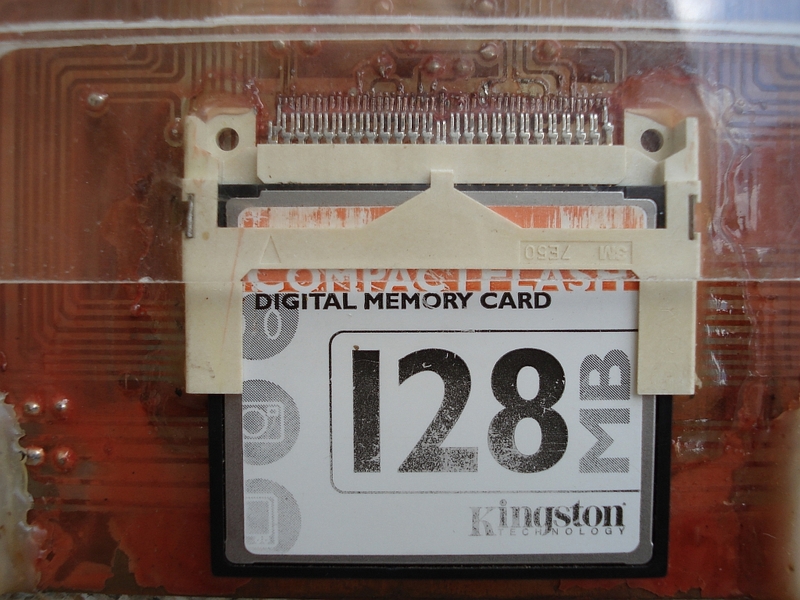 We used a 128MB CF card in the initial design and also tested with a 512MB card. The CF card, LCD and the RTC share PORTD as the data/address bus. This minimizes required pins from microcontroller. For pin connection of devices with microcontroller please refer to header files and ‘main.c’ main program file. 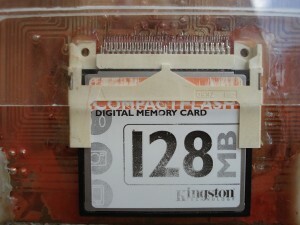 Compact Flash data routines are based on MintyMP3 project. Used with some minor modifications and also altered to be compatible with HI-TECH PIC18 compiler. Delay, LCD and Serial port code is based on Shane Tolmie’s routines. Serial port data retrieval is interrupt driven to minimize data loss. Maximum record length is 492 characters. Each record should be terminated with a CRLF. The maximum number of records is either 2^32-100 or the maximum number of LBA sectors in the CF card. Records are saved as null-terminated strings preceded with date-time of the reception. Uses hardware flow-control to signal not-ready while writing to CF card. Of course you can. But you have to use the I2C bus. Interfacing DS1307 will not be much different from interfacing TMP101 described here.